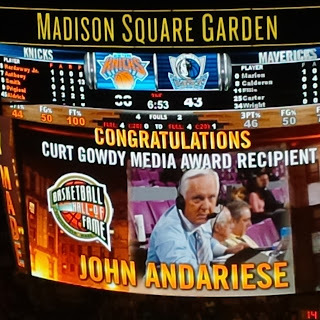 Royalty Tours USA: A Royal Farewell to John Andariese, NYC Basketball Legend! 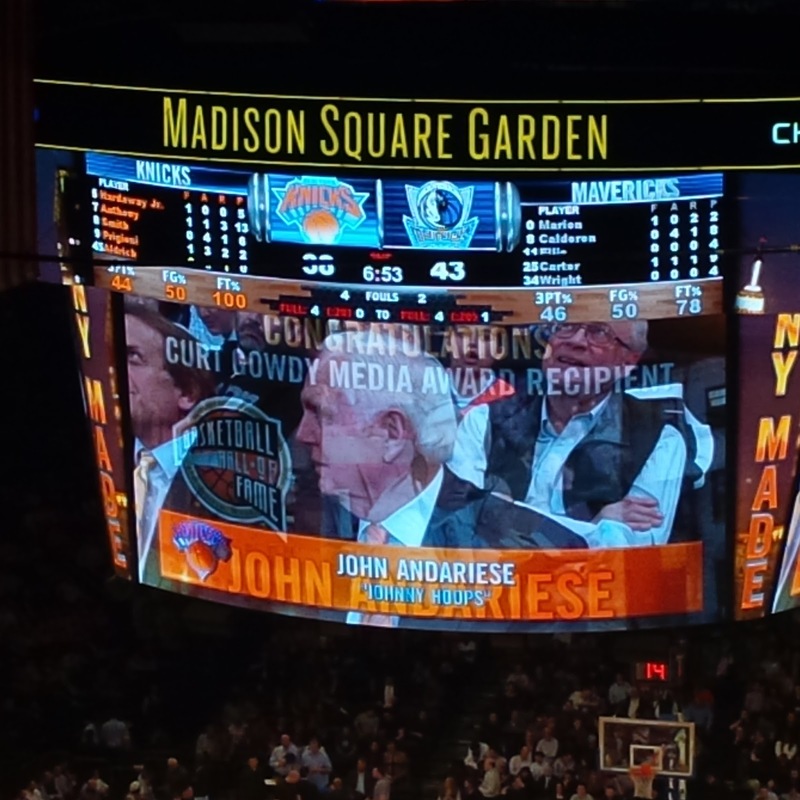 A Royal Farewell to John Andariese, NYC Basketball Legend! Last night we lost a legend in the basketball world. 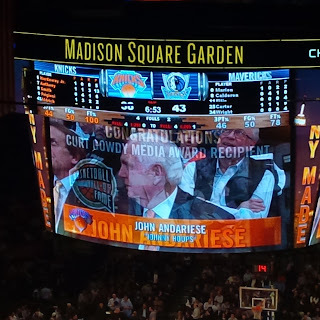 My friend Rich Wolber aka Staten Island Rich sent me a text message informing me that former Fordham basketball player & long time NY Knick broadcaster on TV & radio John Andariese aka Johnny Hoops had passed away. It didn't surprise me. I personally had the privilege & pleasure of meeting John countless number of times over the last 25 plus years. I used to see him after Knick games in the lobby going back to the late 1980's. He was always friendly to me. 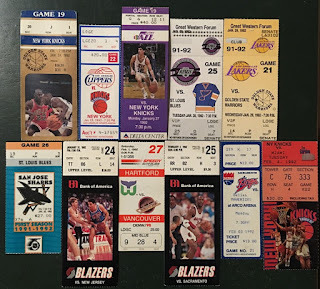 In fact, when the King & I returned from our dream trip as he called it back in early February 1992, John saw us & said you should frame those ticket stubs. 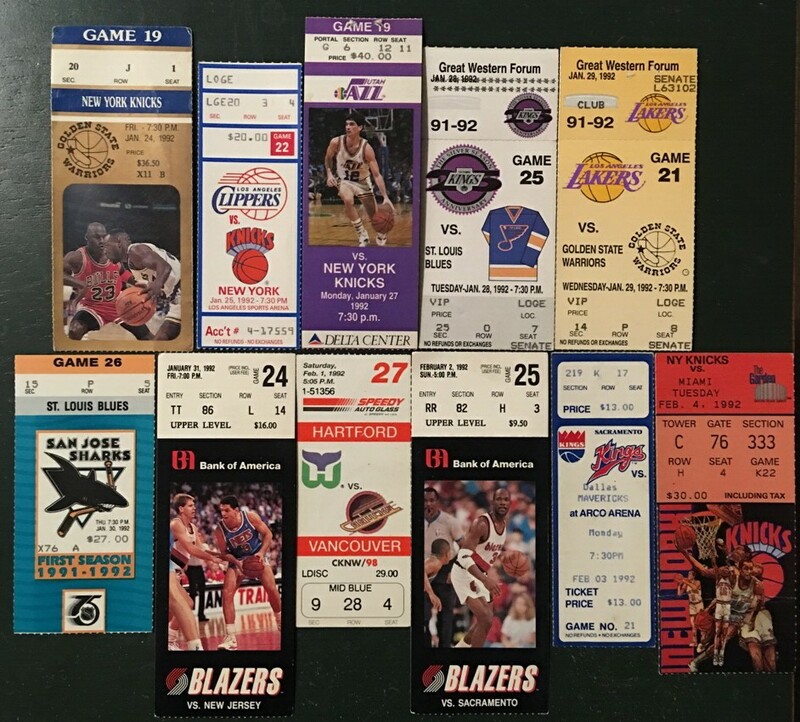 Since then, I used to always try my best to see John before Knick games when he did the color commentary on the radio broadcast in the late 90's until he retired. He always made time to say hello to me & he always acknowledged my presence. He was usually busy preparing for the game but it didn't stop him from saying a quick hello. He always came prepared with his notebook which included newspaper articles & box scores from previous games. John was very detailed & he always did his homework. In 2014, he was honored by the Basketball Hall of Fame when they named him the recipient of the Curt Gowdy Media Award. 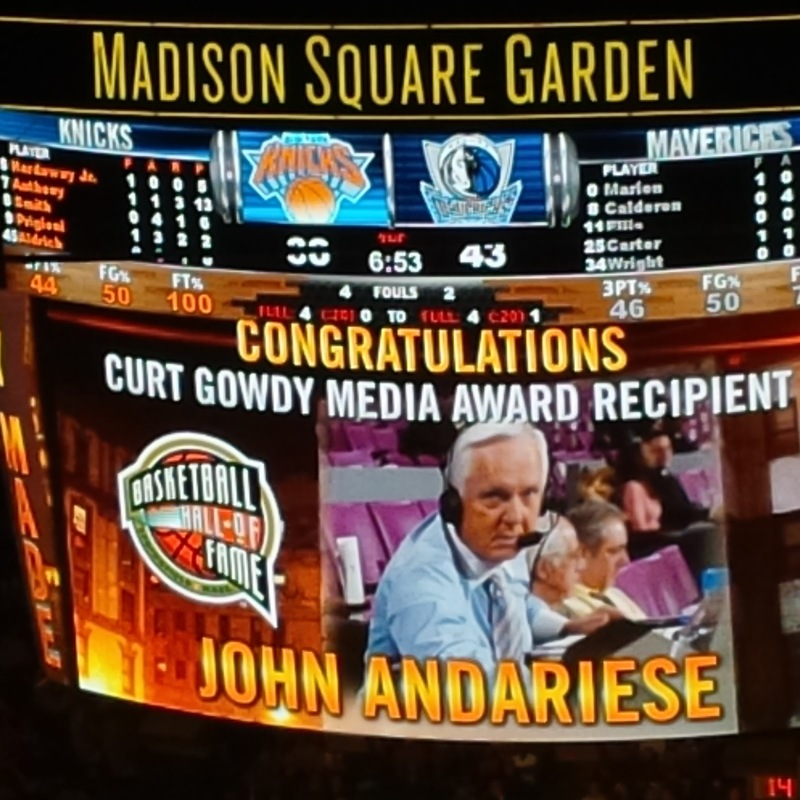 I remember the Knicks honoring him on Garden vision against the Dallas Mavericks on February 24, 2014. He retired from broadcasting in 2012. I honestly believe he was forced out. That started his demise. The last time I saw John was at a Fordham Ram basketball game on January, 22, 2015 when they celebrated the 90th Anniversary of the Rose Hill Gym. I remember seeing him in the bathroom. He looked dazed & confused. I knew right then & there his days were numbered. On my way to work, I read that he had dementia. It makes all the sense in the world. Sad to say, we lost a great man. John may you rest in peace. My deepest sympathy goes out to your family. I'll never forgot the way you treated me over the years. Thank you for the memories.